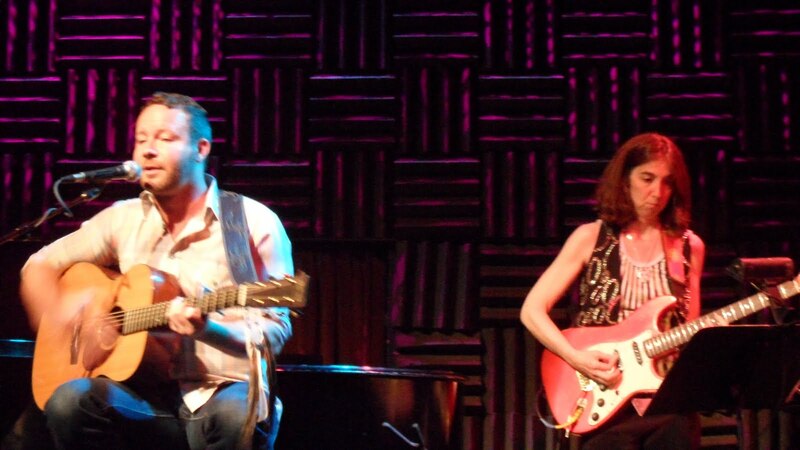 I found out about Matt Alber by reading about him on Joe's Pub online calender. Alber's bio peeked my interest by mentioning that he was a bit of crooner, as well as an out gay singer/songwriter. So, as I have done with other artists I've written about, I checked out the music on Alber's Myspace page before deciding I wanted to see him in concert. 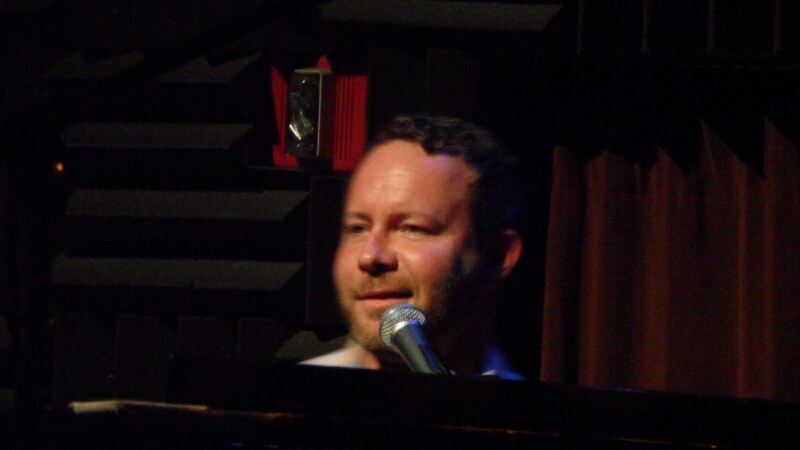 Matt Alber started his set on piano with a song he wrote titled "The River." (Not to be confused with Joni Mitchell's song baring the same title.) Drummer, Lee Nadel gave the song a downtempo flavor by joining in with a beat ordinarily used with chill out music. The first thing I noticed about Alber's music was that it leaned toward a soulful folk/pop sound. I state that only because I had been listening to Alber's new CD "Hide Nothing," for two days prior to the show and, though I liked it, wasn't quit sure what to expect. When Alber finished his first song he said "Wow, it is a pleasure to be here in New York, with the subway rumbling underneath us....I can't believe this is my first show here at Joe's Pub and you bought all the tickets, thank you." Apparently I was late to the party. The room was filled with predominantly gay men who were all really familiar with Alber's music. Even my friend Terry Christopher, who I brought with me, was familiar with Alber's music and looking forward to seeing him. As Alber doodled on his piano, he said he was excited about the show because ticket sales were going to the Hendrick Martin Institute benefiting LGBT youth. He went on to say that the institute is known for founding the Harvey Milk School but they do a lot more by reaching out to homeless LGBT youth. Before doing a great song "Field Trip Buddy," Alber said that the evening was a celebration of music....he then added "but also remembering that we had it real easy." (I'm not quite sure what he meant, but I think it came out the wrong way.) 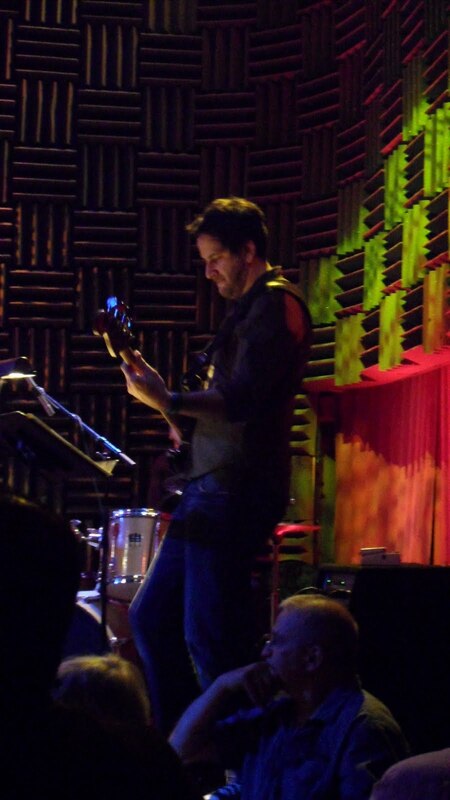 "Field Trip Buddy" had a steady groove and fluid bass lines played by the very tall Rich Mecurio. Between verses there was a nice mixture of sound between Alber's piano rhythm and guitarist Ann Klien's jazzy chords. After moving from behind the piano to sit in front of it with his acoustic guitar, Alber chatted a little more about touring and how he felt there were two cities that always gave him a big hug, namely New York and Chicago. The audience chuckled as Alber spoke because he injected "ahh...there goes that subway again," into the conversation as we heard the dull rumbling sound beneath us. The subway beneath Joe's Pub is one of things I love about the place, it's a reminder that the place is part of the collage that makes up New York City. I'm glad Alber acknowledged the sound instead of ignoring it. The next song "Seldomly (Bad Date Song)" was new and one of the songs Alber said he wrote for a recording he will be working on all this summer. Alber's currently living on an Island called Vashon which is close to Seattle, Washington. Before doing the song, Alber said "I used to live in LA which is pretty much a beautiful place for meeting creative people but not if you're trying to date - this song is for anyone who has ever been on a date and it's only going well for one of you." The audience chuckled myself included. Ann Klien played a lead on guitar for the song "Seldomly" that sounded very Carlos Santana and Alber's vocals were very soulful in way that is yet to be captured on any of his recordings. Alber admitted to the audience that he grew up in St. Louis, Missouri and how much he liked being from the mid-west. However, he admitted one of his reservations was that it wasn't a great place to be 15 years old. He said that he ended up going to a fundamentalist church when he was an early teen and basically said that he still had emotional scars from the cycle of guilt surrounding his sexual preference. He then did "Rivers & Tides," which was one of the songs that showed the depth of emotion and the many colors of his tenor voice which included his strong falsetto. Alber asked what time it was and someone in the audience yelled out "you have forever Matt!" Alber than said if he had forever he was going to do a little song on piano. The song was "Walk With Me" which is the song I was personally waiting for, since it's my favorite on his CD. Traditionally, a great song is even better live and "Walk With Me" was no different. Alber's vibrato at times reminded me of another John, this time John Legend. But I don't think it's coincidental, that "Walk with Me" has some of the same strong ballad feel of "Bridge Over Troubled Water," by Simon and Garfunkle. There's even a portion at the end of the chorus that actually sounds like the same musical turn around. Matt Alber told members of the audience that he was grateful to those who listened to his song "End of the World" and passed it along. He said one the best things that happened in LA was making the video for the song and meeting up with people who helped to create the video because they believed it was an important story to tell. I had heard the song, awhile before my friend Terry emailed me the link for the video. The video is extremely well done;it both contrasts and compliments the song's roller coaster metaphor and there's a good old fashioned smooch at the end. It should go without saying, that Alber performed the song really well on Monday night. Before doing his song "Monarch," Alber told the audience how he came up with the idea of donating the proceeds for the show to the Hendrick-Martin Institute. He said that he felt the need to do something for those in the LGBT community who were under the age of 18. He referenced his younger self again comparing it to runaways in cities like LA, Chicago and New York, stating that their life's paths may not have been as fortunate. The live arrangement of "Monarch" was very different form the CD. 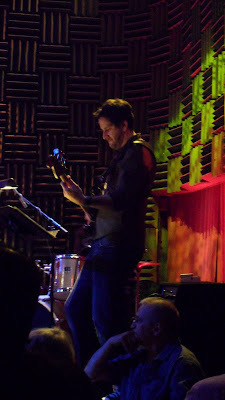 The soulfulness was not only in the vocals on Monday night, but it was once again in the groove set by Klein's guitar strums and Mecurio's fluid bass. Alber performed three covers, one of which was the encore. Alber does covers really well by staying true to original melodies while putting his own stamp on the arrangements. That statement is especially true as it applied to "Walking On Sunshine." * Unlike the original song, Alber's arrangement is filled with a quiet peaceful happiness. Alber's acoustic guitar version of "Hide & Seek" was no surprise because I had already heard the recording. However, "Take A Bow" was a complete surprise and Alber performed it beautifully. There have been a few recording artists who have recorded original music in front of a live audience. One example that comes to mind is Joe Jackson's "Big World" album but I'm sure there are a lot more. 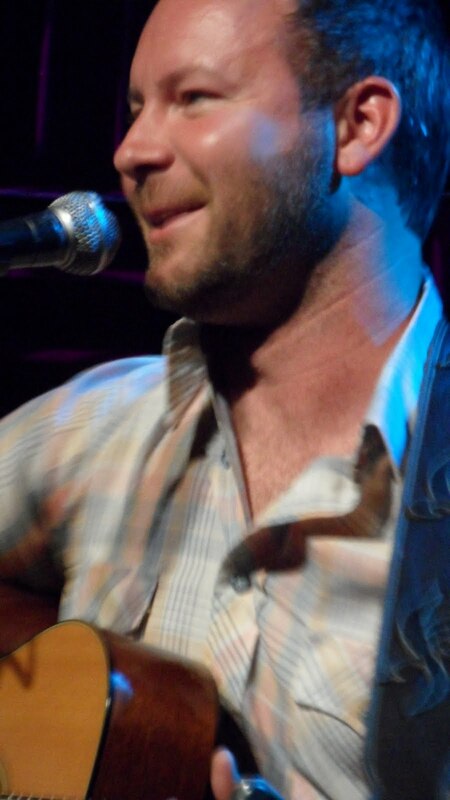 If there is one indie artist who could pull it off and really do it well, I think it would Matt Alber because in concert the man is worth seeing and most definitely hearing.